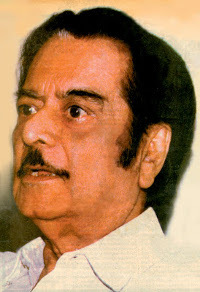 Prof. K. Bhagyanath :-His show was known as ' The biggest show of magical entertainment in South India'. Prof. K. Bhagyanath was born on 1916.K. Bhagyanath ,M.A. - inspiration behind the Fantasia Center - is the sole architect of FANTASIA - a super show of magic and illusions,extending for nearly 3 hours. Fantasia Center is dedicated to the memory of this great man who left us on 15th January, 1999. Magic his passion from the tender age of 9, just grew to a mammoth stage show FANTASIA the only one of its kind in peninsular India even today. He gave his first performance as an amateur magician at the age of 12. Though magic was a real passion in his art although he finished his masters degree in literature and became professor of English. During yearly 1960 his passion overtook his profession and resigned he his job to become full-fledged magician. In 1963 he shifted bag and baggage to madras giving up the security of a permanent job and filled with feelings of apprehension misgivings and without a "God Father " to launch his FANTASIA a huge show of magic and illusion in 1965. This was a full evening magic show, spiced with humor and spiked with excitement. 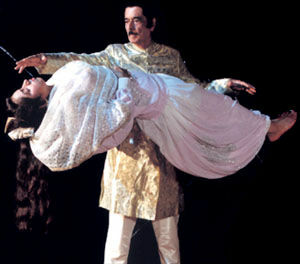 The show became favorite with viewers and Bhagyanath has entertained audience all over the world. His most remarkable attribute was his transparent sincerity and his response to any situation was governed by textbook idealism. His gentleness was no Stagecraft and his sentimentalism was endearing. He was a true Gandhian and lived by his principles till his dying day. During his young ages he became influenced by Mahatma and took up the Indian Freedom struggle to his heart. He was a prominent student leader throughout the independence struggle Of India. Tall, handsome and with a voice that needed no megaphone, his shows ran to overflowing houses.Often quoted as "The most educated Magician in the World", he lived upto it. His enthusiasm for research and experimentation on magic and allied arts was phenomenal and his collection of books on this subjects is a treasure house of information. He believed that magic is one of the finest arts. He used to say that. " All arts create illusions". Magic creates illusions but with a difference.While all other arts try to create the illusion of reality magic alone creates the illusion of unreality of supernatural and of unseen powers at work. A modern magician is an actor acting the role of a legendary miracle man, creating seemingly impossible feats on stage using scientific principles. Today FANTASIA remains just a memory of fantastic performances, treasured by his family and hankered for by audiences for an "encore", but Bhagyanath is no more there to oblige.Though he is no more with us, his spirit of adventure and enterprises live on.